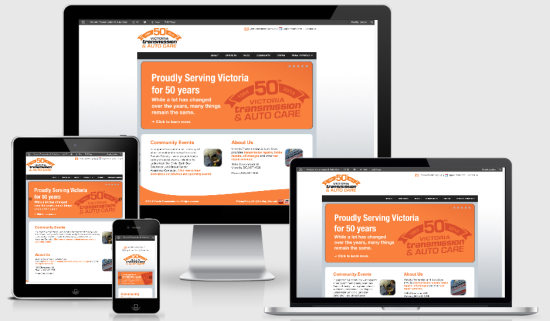 Last week we finished up work making the Victoria Transmission and Auto Care website responsive. 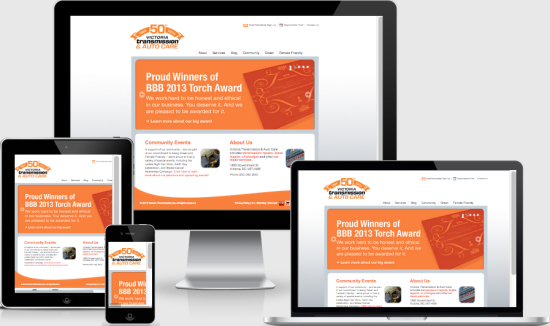 Responsive web design knows and displays your website according to what device the visitor is viewing it from. It’s much, much different from mobile web design. Mobile websites are scaled down versions of your website and look nothing like your desktop site. Responsive sites look the same as your desktop site except they display itself accordingly to what device the website visitor is viewing from. Things were fine on laptops, desktops and ok tablets. The big issue was on smartphones. We needed to improve the experience of those visitors on the smartphones. Looks much better as everything is scaled to smartphone devices. Especially important is that we have web forms for online booking on each service page. 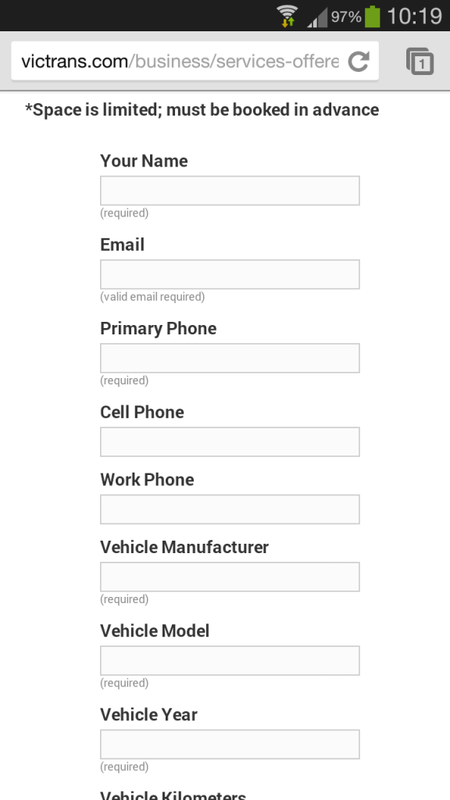 Before making the site responsive, the forms would never resize themselves on the smartphone. It was painful to fill them out and we hardly get any bookings from smartphone visitors. This is because the website didn’t know what device the person was browsing from. Now it does and the web forms are easy to fill out. Learn more about our responsive web design service and give your visitors a better mobile experience. 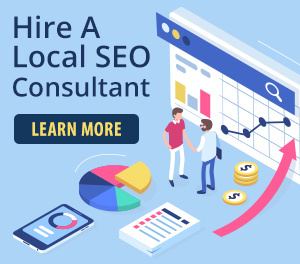 For the remainder of March and April, our responsive web design service is free when you sign up for our search engine optimization service. Click to learn more.